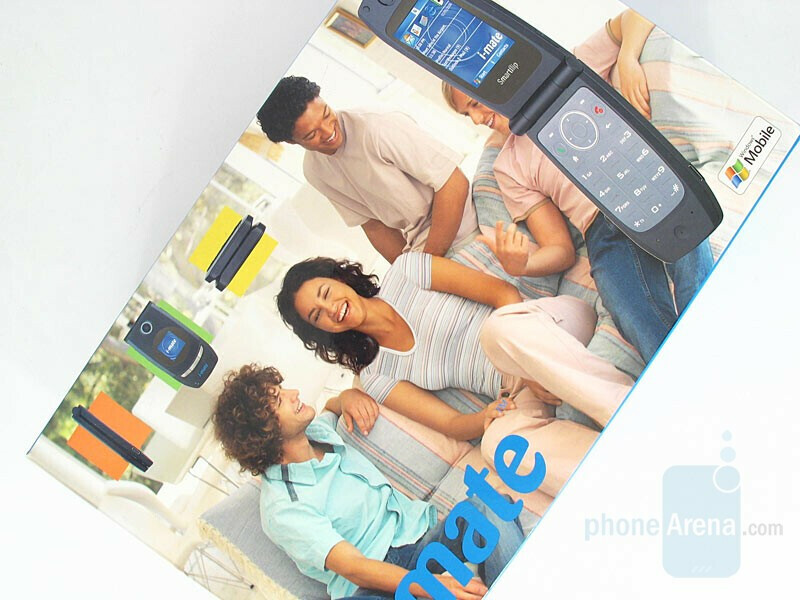 This is i-mate Smartflip – a slim smartphone with clamshell design reminding of the popular RAZR of Motorola but featuring far more functions. The telephone is a re-branded version of the Star Trek NTS telephone and is sold under other brand and operator names as well. At its presentation it was one of the slimmest telephones with Windows Mobile and one of the few with clamshell form factor. computer connecting cable, leather case and stereo headphones for listening to music. Unfortunately, instead of the standard mini-USB and 2.5 mm stereo jack, one combined NTS port has been used to connect all the accessories; thus, in case you lose or damage your cable, you will need to look for one for this specific model and will not be able to use something standard, compatible with a lot of telephones and other appliances. This is a novelty for the NTS and we suppose it has been made indispensable with regard to the phone’s slim profile.